Payoff? 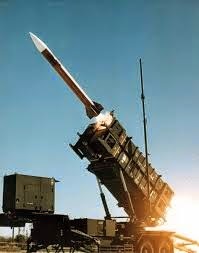 If you are concerned about what terrorists can do with old Russian SAM's, wait until Patriot Missiles fall into their hands. In the biggest arms deal so far this year, the Obama Administration finalized a multi-billion dollar weapons deal with the Persian Gulf nation of Qatar. As reported by the Agence France Presse via The Daily Star (of Beirut, Lebanon) on July 15, 2014 and also by the Reuters news service via The Fiscal Times, on July 14, 2014, some of the most advanced American military technology will soon be signed over to the Middle Eastern nation. While the specifics of the sale were solidly under wraps by Department of Defense officials, the agreement itself was signed off by U.S. Defense Secretary Chuck Hagel and Qatar’s defense minister, Hamad bin Ali al-Attiyah at the Pentagon. However, speaking on grounds of strict anonymity, an American official has verified to Agence France Presse that the Qataris have purchased "roughly" 10 batteries of Patriot missiles, as well as 24 of the cutting edge Apache attack helicopters and 500 Javelin anti-tank missiles.